Dental Crowns are used to repair teeth that have been worn down due to grinding, improper bite, age, fillings and tooth decay. When the entire surface of a tooth is a problem, but the root system is intact, a crown may be suggested. They cover the surface of the affected tooth, adding strength, durability and stability. Crowns generally last for about 10-15 years. However, many patients will have their crowns for a lifetime. Crowns need to be replaced when they have chipped or broken. Proper oral hygiene is important in helping you maintain your dental crowns. 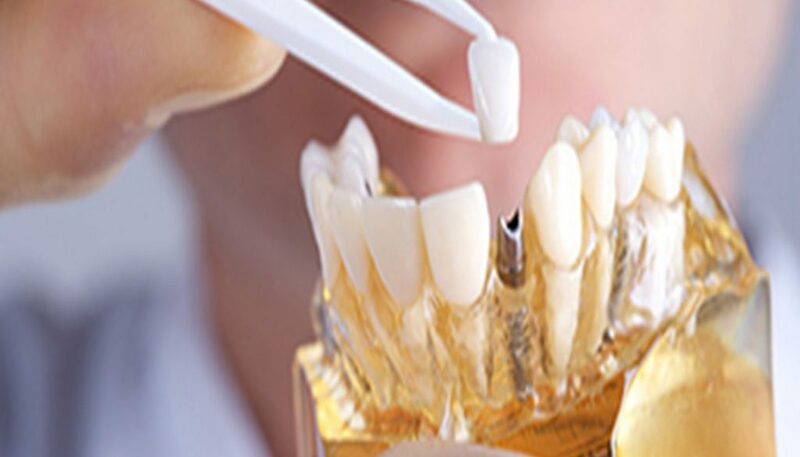 How long is the process in making dental crowns? Crowns usually require two separate visits. Upon the initial visit, the dentist will examine the tooth; take x-rays to check for cavities and the structure of the tooth root. A local anaesthetic is given and then tooth is filed down and reshaped. Then, the dentist will take impressions of the tooth which are then sent off to the dental laboratory, where the crowns are custom-crafted. This will take up to a week. During this time, you would have a temporary crown fitted. Upon your second visit, you will have your crown permanently cemented in place if the crown fits. A crown is only suggested to a patient when a dentist has extensively examined your mouth and is convinced that certain teeth have a high probability of fractures or damage. Patients will be advised as to the best course of action as each individual case is different. A crown is a dental restoration that encapsulates a tooth, giving patients the protection against many of the harmful agents we place in our mouth on a daily basis. Extreme temperatures (hot and cold), hard or tough foods, or acidic fruits and drinks damage our teeth overtime. If you experience sensitivity or discomfort, a dental crown may be the answer to your problems.